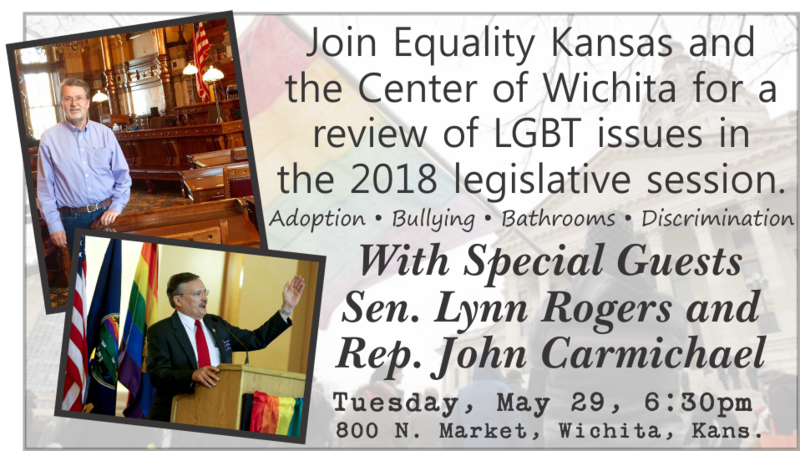 Join Equality Kansas and the Center of Wichita for a review of the 2018 legislative session. Our special guests, State Senator Lynn Rogers and State Representative John Carmichael, will provide insight into how the Kansas Legislature handled various issues important to our community. We’ll cover the adoption discrimination bill, bullying prevention, “bathroom” bills, and discrimination policies.